Barry Greenberg is the Executive Chef at The University of Iowa. Having worked on campus since 1992, Barry’s responsibilities include menu oversight and planning for student dining, catering operations, campus bakeries, retail dining and the President’s Residence. His culinary career began while attending high school in Connecticut by working in a family restaurant as a part time job. He attended and graduated with Culinary Arts and Management degrees from Johnson and Wales University in Providence, Rhode Island. 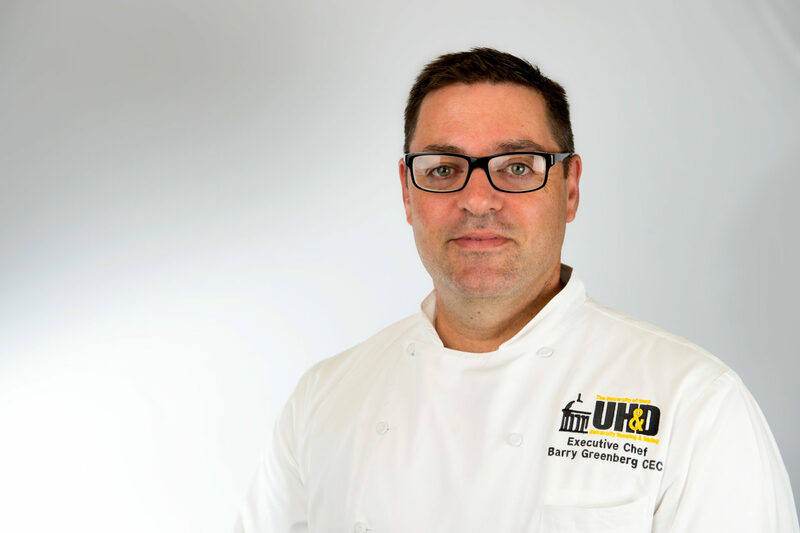 Barry received his Executive Chef’s Certification (CEC) in 2003 from the American Culinary Federation, the largest association of professional Chefs in the world. Barry is also a certified Kansas City Barbecue Society judge. He competes in many Culinary and Recipe Competitions with some success. Barry has won ACF Gold Medals at the Upper Midwest Restaurant Show and NACUFS Culinary Challenge. 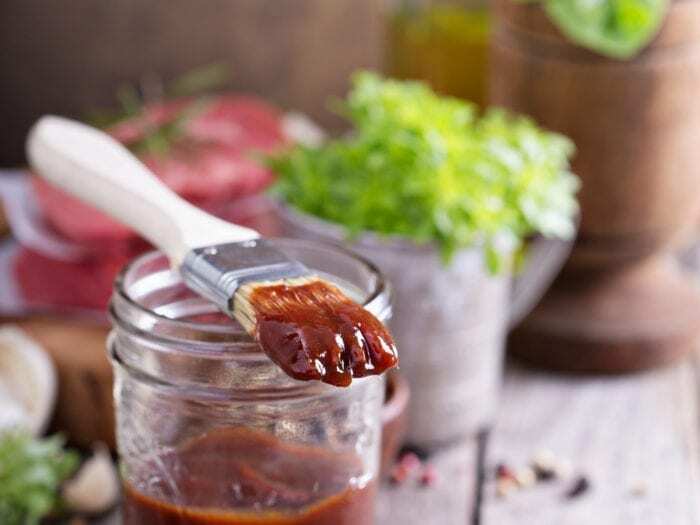 He has also won top honors at the Cattlemen’s ‘Best of the Barbecue’ competition, twice at the Iowa Pork Producer’s Taste of Elegance, The Avocados of Mexico recipe competition, the Gold Medal Flour Culinary Challenge and the Maple Leaf Farms Chef’s Challenge. Barry finds cooking inspiration from many sources such as people, places, previous food experiences, reading and research. When not participating in all things culinary, you’ll find him either spending time with his family, golfing or gardening. At Iowa we are influenced by the students requests to have a wide variety of offerings in all of our locations. We feature a hearty Midwest fare balanced by many healthy and unique offerings. You can find many cuisines at our marketplaces, Korean Bibimbap, Thai Yellow Curry among the more standard regional American offerings. I get ideas from reading cookbooks, trade journals and cooking/foodservice blogs. I also find inspiration by visiting our Farmer’s Market and talking with the Farmers and vendors. There is a strong influence of healthy lifestyle choices on our menus. We feature a salad bar that features grains, beans and healthier salads. We have non-meat alternatives available at every station in our market places. Our chefs use non-meat proteins very creatively and our dietitian works directly with students who need help identifying foods that are available and able to fill their dietary needs. I think anything is possible when you’re serving this demographic. I strongly believe the trend of making things customizable is here to stay. Our guests love it when something is made to order for them, just the way they want it. To start, we place a higher value on locally sustainably grown products. If it is affordable and makes sense, we try our best to make it work on our menu. We use all the fresh and local produce we can get our hands on through the harvest months. There are many facets to running a fully sustainable dining operation, and sometimes the product side of sustainability is the easiest. BBQ pizza: I’m really proud of the fact that we make all of our own pizza dough from scratch in our bakery. It’s a great product and our team does a great job with production. Also, I’m a big BBQ fan, so this pizza is a great combination of Iowa Pork, BBQ and our house made pizza dough. Miso vinaigrette: I’ve been making this vinaigrette for a long time. It’s a standard at our house and we use it all the time. I really like the way the ginger and Sriracha play against the Umami of the miso and soy. Use it on greens, steamed rice, grilled meats and fish. PLC Brownies: This is a recipe I used for a leadership class our University President taught/hosted at her residence here on campus. She liked it so much, it was never taken off the menu. My Mom was a good cook, but even a better baker. She inspired me to start cooking out of necessity when she re-joined the workforce and we were in school. I was mentored by a few chefs along the way that I still stay in touch with occasionally. I was born in New England and have always been a seafood fan. I do love to BBQ, but I don’t know if I would call it a specialty. Learning that everyone needs different things to motivate them to do their best work. Any meal that my wife Lisa and my children Emma and Calvin are all together for is my favorite meal. If I had to choose a favorite restaurant, I would say L’Etoile in Edgartown, MA. 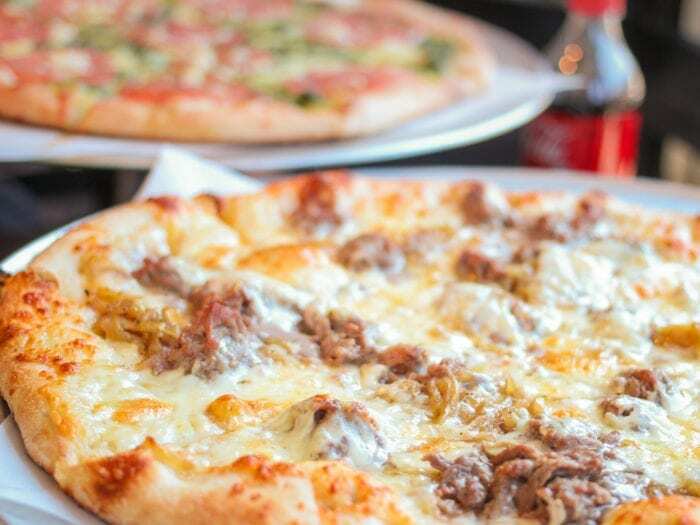 Iowa Pulled Pork PizzaBBQ pizza: I’m really proud of the fact that we make all of our own pizza dough from scratch in our bakery. It’s a great product and our team does a great job with production. 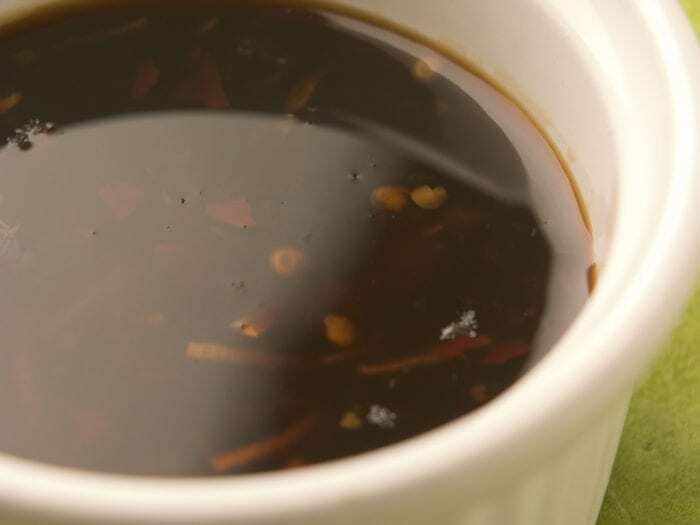 Miso VinaigretteMiso vinaigrette: I’ve been making this vinaigrette for a long time. It’s a standard at our house and we use it all the time. I really like the way the ginger and Sriracha play against the Umami of the miso and soy. Use it on greens, steamed rice, grilled meats and fish. California Raisin BBQ SauceI’m a big BBQ fan, so this pizza is a great combination of Iowa Pork, BBQ and our house made pizza dough.